In "Letters from Brussels", Ceasefire correspondent Emily Macintosh gives us her alternative round-up and analysis of European news. In this week's column, she looks at the Media. Reporting in Europe: a problem shared, a problem halved? When we talk about the relationship between the media and the EU it is often in relation to how the EU is portrayed and how this affects public opinion. On the presumption that EU politics gets a mention in the press in the first place – things that seem incredibly newsworthy from within the ‘Brussels bubble’ don’t often ruffle the feathers of remotely-based editors and their readers – it is normally framed within the long banded about stances of either ‘eurosceptic’ or ‘europhile’. But these bounds only further cause confusion and place distance between people and policymakers. It is too easy though, to dismiss the eurosceptic print press as simply perpetuators of uninformed, populist rhetoric. Perhaps these papers have got something right, the policies and politics that are churned out from ‘Brussels’ – the favourite catch-all term of the press to describe anything from the European Council, the European Commission, the European Parliament, the Member States or a cross party group of MEPs, should be properly scrutinised and taken to account. However, the manner in which this scrutiny is carried out is frequently irrational and unconstructive, often framed in terms of how ‘foreign’ actions will affect ‘us’ at home. This reporting is too trapped within its own paper’s existing ideological blueprint. Equally, media outlets who appear to give European politics a more rational stance, often stay focused on political power struggles and questioning how politicians will ‘deal with’ Europe, as if it is a test they must pass as part of their national electioneering strategies. When we consider all this in the context of the current crisis affecting the media across the whole of Europe – low advertising sales and the continuing convergence of media titles both causing waves of unemployment among journalists, it is the quality of reporting that suffers first. Recycled PR copy is favoured over paying for a foreign correspondent. It is easy to blame the recession, and indeed that is why the vital money from advertising has slipped away, but we need to look further back than 2008 and look at the model for news itself. The corporate business model for news does not work. Well, it works for politicians and media owners but it does not work for quality critical and analytical journalism. In terms of the EU, perhaps then the conversation we should be having is less about how it is represented in the media and more about what it can do for the media. For the most part the EU’s communication efforts are focused on raising awareness about European projects and trying to establish efficient relations with the media through its spokesperson service. Efforts made to create a regulatory environment that promotes media pluralism are altogether more complicated. 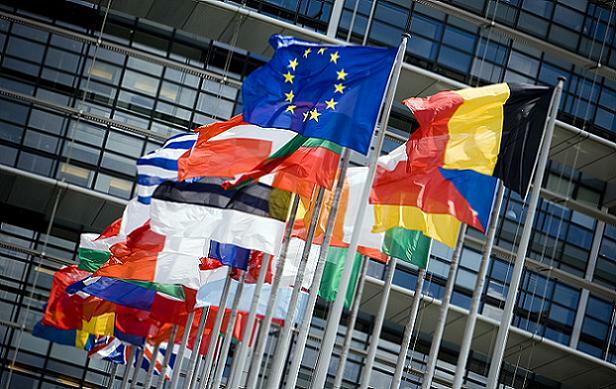 In recognition of the increasing global power of the media, the EU established the Directorate-General for Information Society and Media in 2005. The EU itself has taken media initiatives in the areas of television and cinema, with the ‘Television sans Frontiers’ directive and the MEDIA programme respectively, yet there is no current European policy for the press. Each Member State has its own national media concentration controls and measures to ensure media pluralism, which vary widely between countries. Patterns of deregulation and privatisation have increased the opportunities for investment and diversification, characterising the European media landscape with commercialisation, declining newspaper sales, a concentration of ownership and job cuts. These are the types of uncertainties facing many journalists working in western Europe, but for journalists working in other parts of the continent, there is an additional altogether greater threat; violence and intimidation. 139 journalists were killed worldwide in 2009 – nine of these deaths being in Europe with Russia remaining the most dangerous country for journalists to work in. There is an endless supply of anecdotes that illustrate how intimidation is used to silence journalists right on the doorstep of the EU. The South and East Europe Media Organisation (SEEMO) continually reports on how Turkey is using its restrictive anti-terror law to silence the media and how the situation for press freedom in Ukraine has continued to deteriorate over the last nine months since Yanukovych came to power, attempting several times to take away licenses of privately run TV channels. Some other recent examples include the detention and charging by Secret Service officials of Ernest Vardanian on 7 April 2010, a Moldovan journalist well known for his critical reporting of state officials, and the murder of a Greek journalist who was shot to death on 19 July of this year. Croatia in 2008 saw both a brutal attack by unidentified men on an experienced journalist outside his home and the murder of a journalist in Zagreb. These examples paint just a snapshot of the situation over the last few years and represent cases which are unlikely ever to go to trial due to the likely direct or indirect involvement of the state. Within the EU itself, Hungary’s parliament have just passed another element of a controversial media reform package which will force journalists to identify their sources in stories involving national security and public safety. If faced with judicial action, journalists would only be able to keep their source secret if such secrecy is ruled to be in the public interest. A worrying precedent. In Serbia, a country that could be relatively close to becoming an EU member, there remains numerous incidents of journalists receiving threats as a result of their reporting. A recently adopted Electronic Communications Law in Serbia that envisages the creation of a database on the personal electronic communications of citizens and allows national security and police to view the contents, also has worrying implications for the anonymity of sources. A Serbian media outlet whose journalists have long been targets of intimidation is the TV, radio and online news service B 92. Today B 92 is one of the most prominent and trusted online news sources in Serbia, but it began life in 1989 as a student underground radio station, and continued throughout the 90s to broadcast a voice of dissent among the state controlled news agencies, playing a major part in the overthrowing of Milosevic. In 1994 the B 92 radio transmitters were barely audible outside of the inner city areas of Belgrade, but however oppressed, weakened or marginalised they were they never followed the accepted ideological blueprint of media manipulation and propaganda. So here we have two pictures of journalism in Europe today. The western European version, in trouble and sinking fast among a pile of mushy celebrity PR and word recycling, and the version common further east, where journalists are still at risk from oppression. And both are faced with unsavoury regulatory environments. For countries like Serbia, on the road to EU membership and news organisations like B 92, it is vital that the EU takes action to promote media pluralism, otherwise we risk transferring our own bad practices onto other countries. In countries where a resistance movement united dissenting voices for so long, a media outlet can struggle to find a new direction when subjects previously reserved for private conversation are hurtled into the public discourse. In countries like Serbia, private media have had to learn how to survive in a relatively new system of a market economy, the euphoria of freedom of expression is soon minimised by a capitalist system and vulnerability to market forces. We need to promote free media in both existing Member States, potential new ones and neighbouring countries by finding a new relationship between the state and media to stabilise and support European journalism – without compromising the political independence of media and the editorial freedom of journalists. Many European countries already take an interventionist approach to protect pluralism by providing press subsidies to titles that would not survive the competition of the market without support. Does this undermine the watchdog function of the press when the political executive props up part of the newspaper industry? Or are they no less de-legitimising than non-state interference where a plurality of ownership is exposed to the risks of the free market? Does supporting media organisations in emerging democracies reduce or undermine a media outlet’s authenticity? There is no simple solution and having governments ‘prop-up’ the media is defiantly not a desirable solution, but using the unique forum for cross-border cooperation that the EU offers, could be an opportunity to share expertise on different ownership models like co-operative and not-for profit ones, and put pressure on governments for more regulation to break up the media monopolies. Acting now to find a way to save the profession will benefit both media freedom in existing Member States and those prospective Member States like Serbia. Although the internet has clearly proved to be both a threat to the media as well as an opportunity for dissent to reach the screens of corporate journalists, from the fierce critique served up in comment boxes to the fully fledged online independent media network, these benefits for free debate should not be the answer to justify allowing a few media moguls to dominate the landscape. Instead of replicating failed business models we need to encourage new thinking. The only certainty at the moment is that profit is not the best guarantee of media quality and state oppression (direct or indirect) of journalists in any country should not be accepted. Condemning these trends should be the top story coming out of the press corps in Brussels and beyond. “My letters from Brussels will be sent with my feet both in and outside the confines of the European quarter, I will try to look at a wide variety of topics such as politics, human rights, culture, media freedom and social action from the ‘Brussels angle’, but Brussels as a city in Belgium (otherwise known as Bruxelles or Brussel – depending on your linguistic tendencies), and not just Brussels the forum for European diplomacy.